Buying running shoes can be a frustrating experience if you have flat feet. If you’re not too sure if you have flat feet, you can tell by looking at the insides of the feet. A person with flat feet has flattened arches in the insides of the feet. When a person with flat feet stands up, the entire foot touches the floor. A normal foot has an arch on the inside, so this part of the foot never touches the ground. 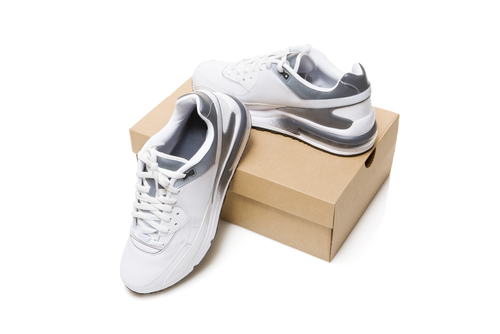 The arch provides natural shock absorption. Without it, extra stress is placed on other parts of the body such as the hips, ankles, and knees. To reduce the impact on other parts of the body, including the other parts of the feet, running shoes that provide either extra cushion, support, motion control, and stability are essential. Although flat feet is a common condition, people with flat feet still have to search for special shoes that reduce the impact on other parts of the body, in order to prevent injury. Individuals with flat feet, especially those that play sports or exercise regularly, have a higher risk of medical and lateral midfoot injures such as metatarsal (the long bones in the forefoot) stress fractures. Metatarsal injuries are common in ballet dancers, gymnasts, and runners. There are several manufacturers that you probably have never even heard of that make the best shoes for flat feet. These include Brooks and Mizuno. 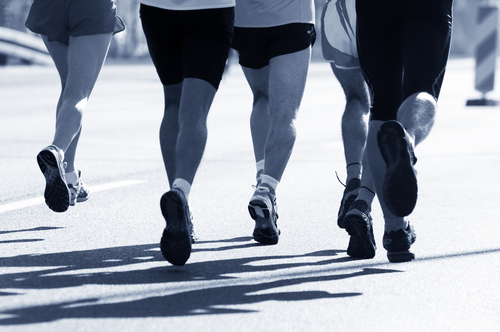 Popular makers of running shoes for flat feet include New Balance, Nike, Saucony, Asics, and Reebok. No matter which brand you choose, you will still have to test them to make sure they are right for you. One of the best indicators of compatibility is how your ankles, feet, hips, and knees feel when you run or jog in them. Most large athletic stores will have a running track or enough space for you to jog around to see just how well the shoes work for you. Spend as much time as need to test cushion, support, motion control, and stability, with stability being top priority. Expect to pay the same price for specialty running shoes as you would for a high quality pair of non-specialty running shoes. In-store prices typically start at around $120. You can shop online where “Internet only” specials are plentiful, but purchasing specialty shoes without trying them out first is not recommended. In addition to wearing special running shoes, people with flat feet may perform foot exercises (using ping pong balls) to prevent injury and they may also use insoles for flat feet in other types of footwear. New Balance, ProKinetics, and Dr. Scholl’s sell a variety of insoles for flat feet. everyone’s feet are so individually unique – it’s best to test which shows are best for your specific arch needs. I’ve used underarmour brand shoes for year because they are lightweight and prevent blisters…which is something ive always had with nike.